I’ll be speaking at OOP 2011 in Munich, Germany late this month. I’ve never been to Munich before, or Germany for that matter. Any advice or recommendations, dear readers? I’d be grateful for suggestions. If you’re a local, or a fan in town for the conference, let me know – maybe we can meet for a beer (or 6). I’ve never been asked to do that before. Are you having a hard time finding speakers? Werner January 5, 2011 at 12:53 pm. Permalink. contact me via my e-mail. I am now a 5 year native in munich. Daniel H. (Germany) January 5, 2011 at 1:23 pm. Permalink. Eat a “Bretzel” with butter. It’s really typical for southern germany. Should be around 1€. If possible, visit the “Deutsches Museum” (German Museum). See http://en.wikipedia.org/wiki/German_Museum on it. It actually takes about one week to see everything they have, they have a lot of stuff on thechnology and science. 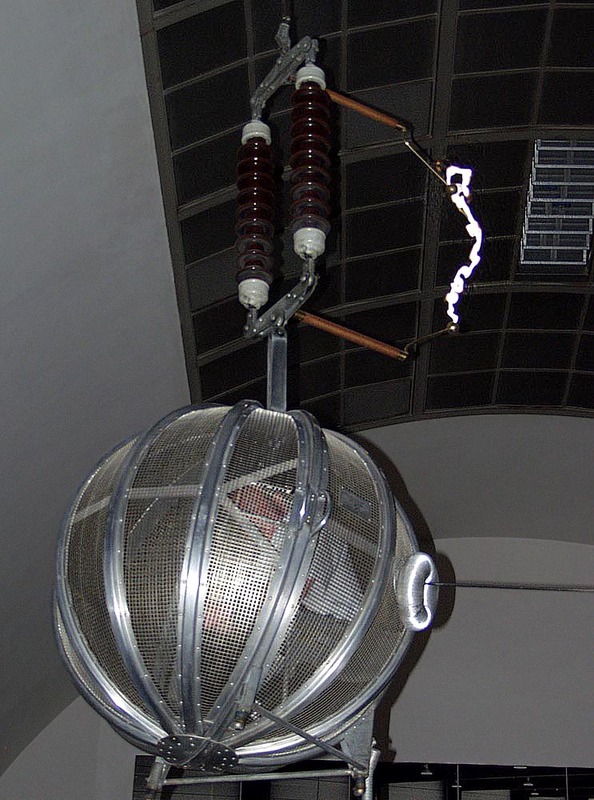 I really liked the part with the faraday cage where they put someone into a metal cage with ~1000 kV of electricity (see http://de.academic.ru/pictures/dewiki/70/Faradayscher_Kaefig_DeuMus.jpg for a picture). I would love to come to Munich and attend your talk, but I highly doubt I’ll make it (~250 miles from here – but maybe I can get a day off). Marcin January 5, 2011 at 1:28 pm. Permalink. If you want a budget hotel, try http://www.etaphotel.com the best, cheapest thing you can get. And it’s pretty new and clean. Glen B Alleman January 5, 2011 at 2:10 pm. Permalink. I worked there (north in Eching) for a year. Dress warm, eat on the street, stay away from the tourist traps (Hofbräuhaus), go to local dives, ride the S-Baun, walk, go downtown and walk the Marin Platz. The 51 bus goes to Alleman Straza, or it did in the 80’s. if you’v got catch a train to Salzburg, or drive to Garmish and walk in the forest. Drink the local beer (forget the swill sent to US), eat the white sausage, and frits from the street vendors. Werner lives there, he’ll know all the local stuff. Alan January 5, 2011 at 4:14 pm. Permalink. I don’t know much about Munich, but I’ll also be there for OOP. I was there a year ago speaking at Siemens and found it easy to get around – both by train and by foot, and found a lot of great food to eat (which is saying something being a vegetarian). David January 5, 2011 at 6:59 pm. Permalink. Dan Martinez January 5, 2011 at 10:22 pm. Permalink. As far as Das Deutsche Museum is concerned, I can only echo what the others have said — it’s astounding in its size and variety. It will always hold a special place in my heart for introducing me to the beauty of a working cloud chamber. Sven January 5, 2011 at 10:28 pm. Permalink. for food I would recommend a typical munich dish: Weisswurst (http://en.wikipedia.org/wiki/Weisswurst). Traditionally it is eaten before noon with sweet mustard and a pretzel. As said, the german museeum is a great location. If you like it more alternative, I would recommend trying the so called “Kunstpark Ost”, where there are clubs and bars. If you really like great nature, drive south (about 30 – 60 minutes), visit the region Bad Toelz, Miesbach and the lakes there. Hope I could help a little bit. Greetings from Hamburg. If you ever may be here, I would spend a beer in Hamburg. Jarno January 6, 2011 at 4:49 am. Permalink. I also offer you to contact me via email. I’m a native German, but from a different region (NRW). Maybe I can give some more specific advice (culture etc.). I also agree with the other advices so far. Try some Weißbier and German food (especially meat products if you eat meat), I also suggest visiting Salzburg in Austria which is not far from Munich. Michael January 6, 2011 at 9:51 am. Permalink. How much time do you have? Looking forward to spend some together and as twittered the first beer is on me. Please email me. Joe January 6, 2011 at 2:02 pm. Permalink. I was there in 2002, and my two favorite stops were in the same neighborhood: BMW museum and the Olympic Park. phaty January 9, 2011 at 1:57 am. Permalink. you can’t go too wrong in Munich, the whole town is on a very high standard when it comes to food/beer/places/people. I am sure the organizers of the conference have set up some kind of entertainement and if they are not totally boring you will be fine. Beats me why they run something like this in January Munich is such a great place in the summer. Anyway one suggestion: if you see a group of Japanese or Italian tourists enter a building – don’t go in there! Scott Berkun January 10, 2011 at 4:32 am. Permalink. Thanks everyone – this is awesome. Much appreciated.